Brooke Crain, ranked fifth in the world, was a last-minute replacement at the 2012 London Olympics. 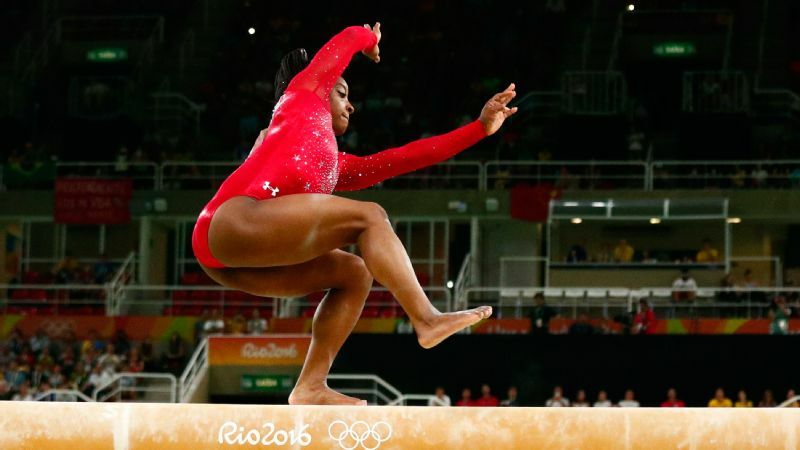 She is more prepared to win a podium spot in Rio. Alise Post and Brooke Crain line up their bikes at the gate. Donning navy jerseys with red-and-white sleeves and covered in stars and stripes, the BMX riders are ready to launch themselves from an 8-meter-high ramp. Here, at the U.S. Olympic Training Center in Chula Vista, California, lies one of the toughest tracks in the world; its jumps and turns dare riders to conquer or crash. 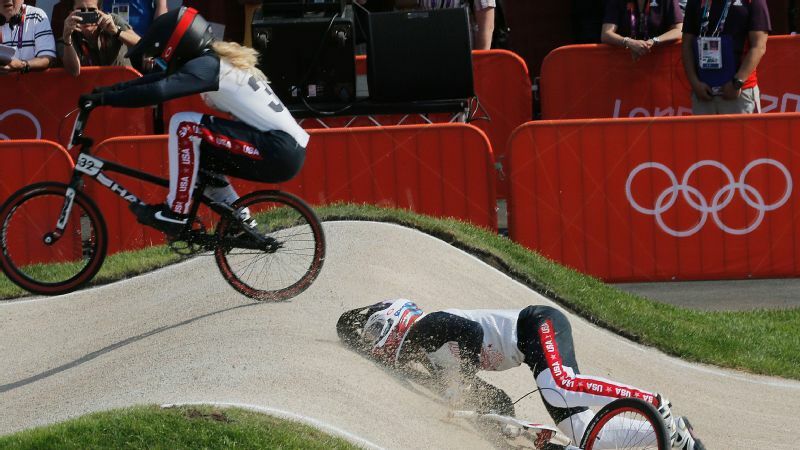 "The slightest error, you're on the ground with a punctured lung," says Jamie Staff, director of BMX for USA Cycling. Heads down, backs straight, hands tight -- hands really, really tight -- Post, 25 and Crain, 23, don't have time for fear. Two and a half seconds later, the riders who will represent Team USA at the Rio Olympics starting Wednesday, zoom down the track, bouncing over jumps like billy goats and hanging in the air as if they won't come down. Less than a minute later, they've completed the outrageous course. "I think everybody in this sport is somewhat of an adrenaline junkie," Post says. "You get addicted to that rush of it. That's what keeps you coming back. That little bit of unknown, and that bit of fear, it's always going to be there. But that's the thrill of it." Alise Post, who describes London as an "emotional blur," has focused on becoming a more consistent rider over the past four years. Post and Crain ride again and again from 9 a.m. until noon on the Chula Vista track, alongside their Rio-bound male teammates, Nic Long, Corben Sharrah and Connor Fields. BMX, or bicycle motocross, took off in Southern California in the 1970s. Testing riders to the brink of physical and mental exhaustion, the sport debuted on the Olympic stage at the 2008 Beijing Games. Side by side, cyclists race over a course filled with giant leaps and challenging turns, with the winner being the first to cross the finish line. Though three USA riders medaled in Beijing -- Mike Day (silver), Donny Robinson (bronze) and Jill Kintner (bronze), an American has yet to win gold. Post and Crain hope to change that this week. In practice, they don't go at any gear other than all-out, especially since the sting of the 2012 London Games remains. Post crashed twice in the semifinal heats, while Crain wiped out in qualifying on the first day but still advanced to the finals before finishing eighth. I don't think we're human or we're just not going to be able to move when we're 30. One of the two. "In practice, they're always pushing it so hard," says Long, who conserves his maximum effort for races. "I don't crash very often. Maybe it's because I don't push it super hard out here. "They don't seem to have that switch. They just go as hard as they can at all times." Both women grew up with family members who motivated them to keep up. The first time Crain hopped on a bike, she cried. The 6-year-old from Visalia, California, was terrified to ride down the hill at a local track, so her parents took turns running behind her, clutching the back of her shirt. "I wouldn't let them let go," Crain says. Post, also beginning at 6, walked to the top of a local course in Minnesota and chickened out. "My mom and dad tried to get the membership money back, like, 'Oh, cancel it, she's done,' " Post says. But Post returned the next week, fears be damned. Hearing her brother yelling at her to get up, she realized she could do it. What's a few bruises? BMX was gnarly. Cool. Something most girls didn't do. Crain, too, fell in love with the rhythm of the sport: fly, get knocked down, get back up. Post, who holds eight national No. 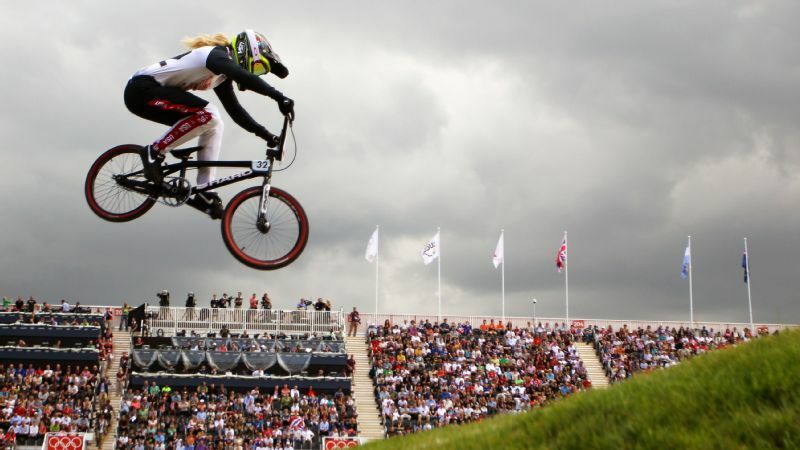 1 USA BMX series titles, is the winningest female in USA BMX history. Crain, who won two world titles as an amateur, became the youngest rider to make a Supercross (international elite style of racing) final as a 16-year-old in 2009. She has made the podium at four World Cups and has been in the top three in the USA elite women's class every year since 2012. 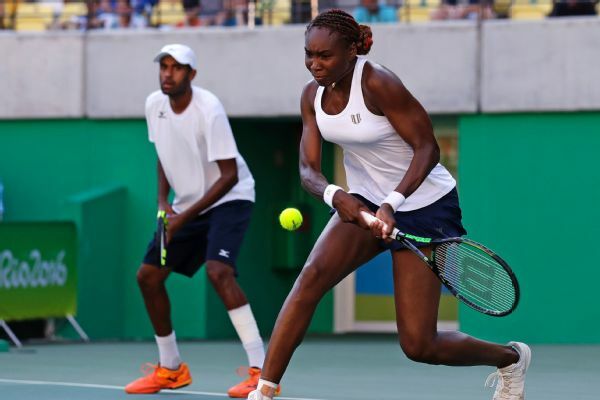 But both battled injuries that threatened their chances of qualifying for the London Games. Post broke her ankle in 2010. After a full recovery, she blew out her knee in the same leg three months later while going over the handlebars on a jump, which also left her with a ruptured hamstring tendon, a hairline femur fracture and a detached meniscus. She was back on the track in January 2012, just five months after surgery. Crain broke her shoulder at the world championships in 2012. BMX provides a high, no matter the physical costs, that only riders can understand. "I don't think we're human or we're just not going to be able to move when we're 30. One of the two," Crain says. "You have to be tough to be in BMX, you really do. That's just part of our sport." Post, right, crashed out of London, and Crain, left, was crushed by her experience. The Americans have arrived in Rio in a much better place. Post remembers London in pieces. "It was just an emotional blur," she says. During the second semifinal heat, she failed to clear a jump, coming out of the tunnel into the second turn, and crashed. In the third heat, she crashed on the final straight, hitting her head hard. "My parents told me that I came up to them and was just like, 'Hey, thanks for coming. I gotta go race now.' They said, 'No, no, no. You're done,'" Post says. 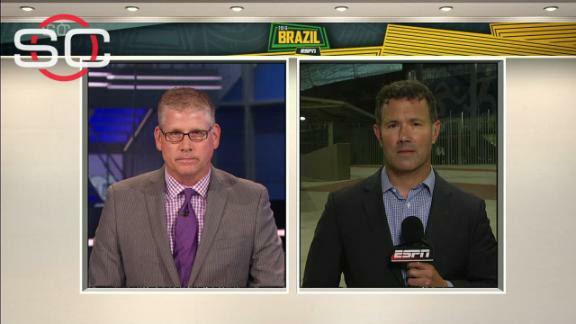 What's next for U.S. women's soccer? Crain, originally selected as the alternate, was asked to compete at the last minute when teammate Arielle Martin crashed days before the team was supposed to leave for London. Crain didn't feel physically or mentally prepared. "They were like deer in headlights," Staff says. "It was a shock." Exhausted and disappointed after returning to the States, Crain rested on pillows while wrapped in blankets on her parents' living room floor for three days. Post had two hand surgeries. 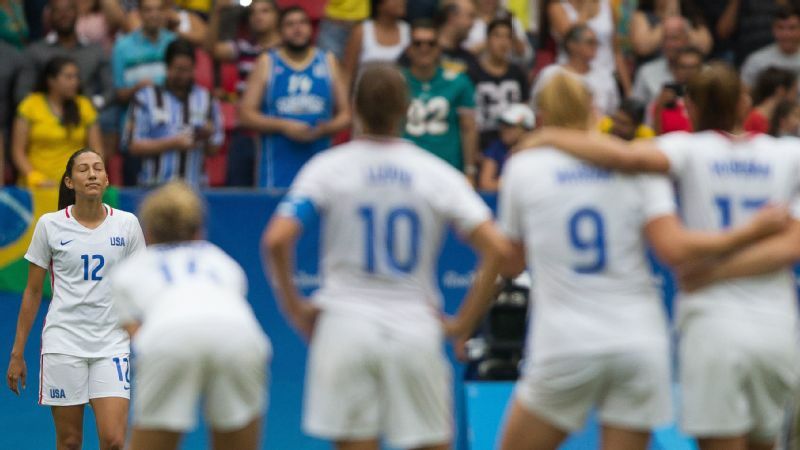 But soon, the friends and long-time competitors were back on the track, using London as motivation for Rio. "The driving force behind any athlete is wanting to reach your potential and put your best effort out," says Post, who bounced back from a broken tibia in 2014 to capture back-to-back Women's Pro titles in 2014 and 2015. Post currently ranks third in the world and is expected to contend for a medal. "I personally know [London] was not even close to my best effort," Post says. "I don't want to say that Rio has been the forefront of every race I've done, but everything is a stepping-stone. How do we work backwards from that? How do we grow from every race experience and try to be overall more consistent riders?" Crain, who is fifth in the world, recently recovered from a broken leg she suffered during a World Cup race in Holland 12 weeks ago. 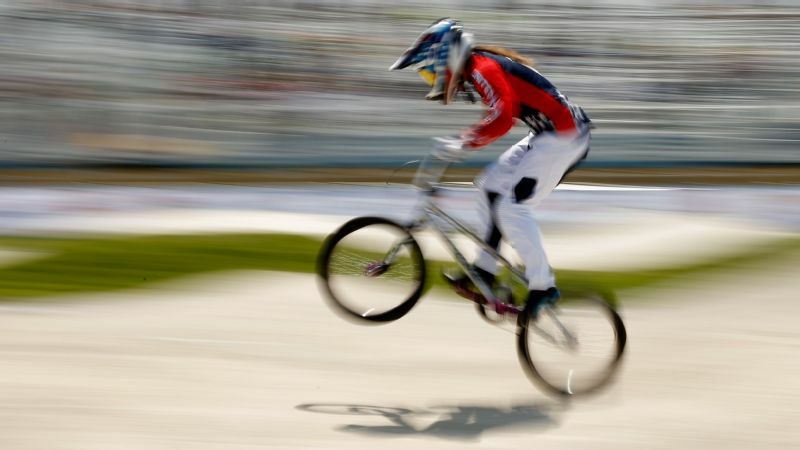 "If you race BMX at this level, you have to be resilient. ... If you don't have that certain level of resilience, you're not going to make it," Fields says. "Brooke and Alise, they just keep punching. They get knocked down, they get back up again."